The Syria crisis has displaced 4.81 million Syrian refugees into the Republic of Turkey, the Lebanese Republic, the Hashemite Kingdom of Jordan, the Republic of Iraq and the Arab Republic of Egypt, and there are an estimated 6.1 million internally displaced people within Syria. Turkey hosts more refugees than any other country – some 2.76 million, accounting for around 3.5 per cent of the population of Turkey. In Lebanon, the one million registered Syrian refugees are equivalent to over 20 per cent of the population, and the 655,000 registered Syrian refugees in Jordan is equivalent to nearly 9 per cent of the population. Iraq hosts nearly 230,000 Syrian refugees, as well as 3.2 million internally displaced Iraqis. Egypt hosts around 115,000 Syrian refugees along with refugees from many other countries. During 2016, the number of registered Syrian refugees protected by these five countries has increased by almost 200,000 to stand at 4.81 million at the end of November. Despite the ongoing conflict inside Syria which continues to generate displacement, large-scale new arrivals to the refugee hosting countries are not anticipated during 2017 given increasingly managed admission policies. 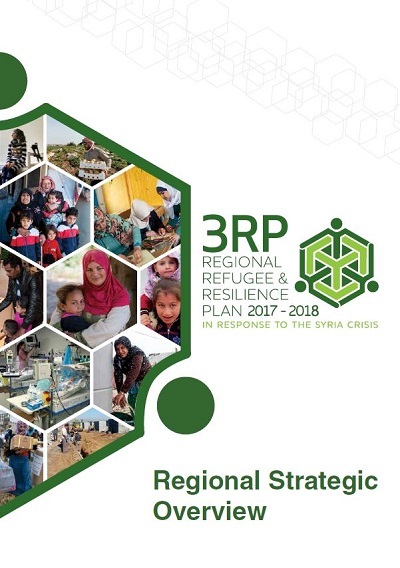 The refugee planning figure of 4.7 million Syrian refugees in the region by the end of 2017 reflects: limited new arrivals as well as new registrations; births and marriages; and changes occurring as a result of departures from host states including through resettlement and other forms of admission to third countries. Refugees from Syria are losing hope that a political solution will soon be found to end the bloodshed in their homeland, and yet struggle to meet their basic needs in countries of asylum in the region.